The Kosmos Signature Meditation Bracelet has been specially created by designer Kari Auerbach for our Kosmos family. 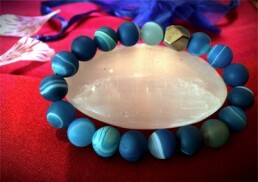 Each agate, a mineral of the Quartz family, is a blue world unto itself. Our Kosmos-blue bracelet contains one ‘gratitude’ crystal of pyrite. 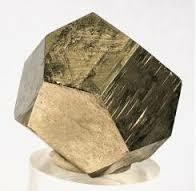 To the Incas and Aztecs, Pyrite’s magical properties included divination and defence against negative energies – ‘seeing behind facades to what is real’. $30.00. Quantities limited. Mindfully sourced. One size. Domestic US only.